Produce – We’re in the process of getting solar panels (photovoltaic) installed. Reduce – We’re working on ways to conserve on our power usage. This is the area I want to explore in this post. First, a disclaimer: We are already pretty conservative with our power usage and we want to reduce our consumption in a way that won’t require a total shift in our lifestyle. So, aside from moving into a tent we’re looking at other ways to reduce our usage. Compact fluorescent bulbs – All our bulbs in our house are fluorescent except for the ones on a dimmer in our bedroom. I need to either replace with dimmable fluorescent bulbs or just remove the dimmer and replace with an on/off switch. No AC – Yup, we can pull this off since we live in a pretty moderate climate. There are a few weeks of really hot days in the summer, but if we manage to evacuate all the hot air from the house using a whole house fan we can cool the house without gobbling up a ton of electricity. Two houses in one – My little family lives in an addition built onto my mom’s house. My mom uses barely any power, but between the two families we have 3 computers that are on almost all day every day, 2 refrigerators, and a large freezer. Computers – Did I mention on ALL DAY EVERY DAY? Yup, I work from home, my wife is a stay-at-home mom, and my mother is semi-retired and spends most of the day on the computer too. Based on my calculations (see more below) each computer, monitor, printer system is using about 120 watts. Young kids – Lights left on, lots of laundry (efficient washer & electric drier), etc. Raising Chickens – We often set eggs in an incubator which draws a bit of power. Then once they hatch they need to be under a heat lamp which is often 250 watts for 24/7 for the first few weeks. Heaters – We don’t have central heating and haven’t installed a gas heater yet. We primarily use a wood stove for heat but in the kids rooms we use a radiant heater during the winter to keep things comfy. Stuff that’s always on – DVR, and the tons of “vampire power suckers“. Who in the heck wants to shut something on and off every single time they want to use it? Who wants to deal with the associated problems of loosing clock settings, DVR downloads, etc. when the power goes off? One area that I wanted to improve was my own computer area. Some items “need” to be on all the time. Stuff like the DSL modem & router (all 3 computers rely on these) and the shared laser multifunction machine. The rest of the stuff could be switched as needed when my PC is on. Have everything end up going through a kill-a-watt monitor that would show me how much juice all my devices are using. Keep certain items on all the time, especially “shared” items. So, I began the process of plugging in and arranging all the various items. As I plugged in each item I kept track of the power usage during its regular use. Computer and monitor were “while fully on” while printers were tracked in “standby” mode. So, the stuff that is “Always on” totals about 28 watts. That’s about 20 kwh a month or $2.62 a month at our baseline kwh rate. I’m happy to spend $2.62 a month to not worry about my wife always asking me to turn on a printer or having to wait for my DSL modem & my router to startup every morning. The “with computer” stuff is probably on about 14 hours a day, so I’m guessing that comes out to about $8 a month. As you can see, our “baseline” is pretty small and we were well within the higher tier of $0.40 per Kwh! I guess I’ll need to continue my quest for the big power suckers. I’m assuming the big ones will be things like the refrigerators and freezer. I’ll plug my kill-a-watt into these items and use the kwh measure to get a 24 hour read on how much juice they are pulling. For other items like kitchen lighting, ceiling fans, dryer, garage lights, etc. that are difficult to plug into the kill-a-watt device I’ll go out to our new digital meter while my wife turns stuff on and off (I tried to do it tonight, but the readings were all over the place since she was baking a birthday cake, running the dishwasher, etc.). So, what are your thoughts? Are you an electricity miser? Which battles do you pick when it comes to power consumption and conservation? For your solar installation , you’ll need to do the on-line PG&E energy audit. That will help your find some energy consumers. You are calculating your energy costs wrong. You want to use your top tier rate, not the baseline rate. This is because if you save energy an any device, it it at the top tier rate cost you have saved. You are likely in the $0.40 or $0.47 per kWh tier. At $0.40/kWh, your 20 kWh/month is $8, not $2.62. For your computers, at 0.176 kW x 14 hours x 31 days x 0.40/kWh, each costs $30.55 per month to run. Clearly, as you drop into lower tiers due to saving you must reevaluate costs at the lower tier rate, but the cost of having a given system on or not is at the top tier rate (if the kWh are 100% in that rate). Similarly, you might need to look into want the next tier costs if you are looking to leave something on longer. Look for all the energy vampires, but keep you convenience. 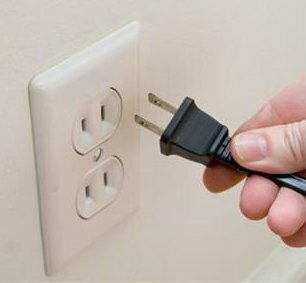 Be aware that wall warts (power bricks) draw power even if the device they power is off. I put all our AA battery chargers on a power strip and charge stuff in batches when needed. DVRs/satellite receivers and TV go right into the wall, but almost all the other gadgets on the media center go into the switched outlets on the back of the stereo. For instance, our old VCR or DVD writer take 16 W each while sitting and waiting to be used. At your rates, they cost $9.50/month just to sit there and wait to be used. Our 2200 Sq.Ft. home uses about 640 kWh on average. I work at home on computer, have a whole-house network (24 ports), switch, 2 network printers, 2 DVRs & TVs, whole house audio, aquariums with pumps, terrariums with heaters, and other toys. The key is to minimize energy use every time you add something. For example, my son’s leopard gecko wants 80 degree temps all the time. When we got him, that meant 40Wx16 hrsx31 days * $0.27 = $5.36/month just to keep him warm. I went out and bought 1″ Styrofoam to cover the sides of the terrarium, and printed a desert landscape to line them. Front panel is removable for viewing (as well as the top, as usual). This allowed us to use a 15W bulb for the same temperature, at a savings of $3.35/month. The insulating materials paid for themselves in under 3 months. I have my Dell set to sleep the screens after some time and the whole system after 30 minutes. Sleeping, the system and monitors take 6 watts. Use the sleep setting whenever you will leave your desk for more than a few minutes. Just sleeping a hour a day for each system will save $6.30 per month. In addition to the big things like refrigerators and freezers, it is the loads of little items that push up the energy bill. George, you’ve got some fantastic points, thanks for sharing! You’re spot on regarding the way I calculated my costs. I should really go from the top down (like you’d do with tax deductions) vs. the bottom up. George, what’s your power consumption in the wee hours of the night when most things aren’t “on”? I understand the idea of “loads of little things” adding up, but I still can’t figure why our middle of the night usage is 500 watts!? I’ve been wracking my brain to come up with all the possibilities and even if I’m super generous with the drain from all the vampire devices (TVs, DVR, DVD, VHS, clock radios, night lights, DSL Modem/router, etc.) they total up to only about 135 watts. Somewhere there is 350 watts being sucked and I can’t find it. I need a trained dog that can sniff out joule vampires!! I’ll have to check the energy consumption at night. Prior to digital PG&E meters, getting the nighttime consumption was a bit tedious. Be wary of things that are either on all the time, or go on-and-off by themselves. A porch light that stays on at night is an example of the the former, refrigerators are the latter. Replacing a refrigerator is expensive and you can’t control the on-off too much, but everything else in the house is fair game. For example, I see lots of porch lights on all night, even though people rarely get visitors. At 60W of light on an average of 12 hours a day (a photo-cell controlled light, or turned on at dark and off in the morning) costs about $8.93 a month to leave on. Add a motion-detection unit (~$20 or so), and replace the bulbs with LED lamps (our porch light has candelabra bulbs). Now, even with false motion detection (critters and cars), there is only 8 watts on maybe 2 hours, at a cost of $0.20 a month. The hardware pays for itself in about 4 months. I place night lights all over, preferably the LED type if they are bright enough. This eliminate the need to turn on a hall light, for instance, that often gets left on until the person returns the other way, or forgotten entirely until bedtime. The goal is that only destination lights ever need to be turned on. Building an insulated box for your chicks could probably cut the 250W down to 50W or less. Beware of closet lights. They are often left on. I installed lighted switches so they are easily found in the dark, and so that hidden lights reveal that they are on by the state of the switch light. If the light is off, the device is on and vice-versa. The neon bulbs draw in the switch draw essentially no power. I never leave my porch light on all night either but I do make good use of those solar powered LED garden lights. Those are great and really help to illuminate my large backyard. I like the fact that once they’re in the ground I don’t have to worry about them either or even bother to turn them on. Awesome. 47 cents a KWH???? I am griping because the power company here in Michigan just jacked the rate to 13 cents per KWH! 47 cents per KWH would drive my summer power bill up to about $750 (admittedly I live in a hotter part of MI and my office would get very hot without AC)! Glad I don’t live in CA!!!!! Hm, I’m living in Germany and found really your numbers interesting. Our annual (!) electricity bill is about 700 EUR (~ 1000 USD) for approx. 3000kWh for a 4 person house. The main power consumers for us are the parts which run around the clock: refrigerator (it’s a combination with a freezer) and the wood pellets heater with its heating pumps. Our house is 5 years old and built with a quite good insulatiion standard, so heating in the winter is not too expensive. You seem to heat with electricity, we are using wood pellets. These cost approx. 700-800 EURs themself for each year. I went through the same ordeal of trying to find some way to cut something off of my electric bill. I live in middle Tennessee and I think our rates are lower than you pay in CA but no one likes to pay more than they have to. I also did all the small stuff like turning off lights and such which do add up to some savings. But the biggest tow places I found to save were the refridgerator and the water heater. Even if your water heater is gas this will make a difference in that cost also. First I should say that I live alone so it is not difficult to put energy saving plans to action at my house as everyone is on board instantly with all new ideas. With that said it is not difficult to et help from others once they understand the plan. Put a little more insulation around the water heater first and then second turn it off when you are not using it. If your is electric then it is a simple flip of a switch at the breaker box to turn it off after morning showers. I wash clothes with cold water anyway and when the shower is finished I will not need much hot water till the next morning. When the tank is off there is still a full tank that was just heated and it is plenty to do dishes with. Flip it on again next morning while I make breakfast and off again after the shower. Small rearrangement of the schedule is all it takes for most households. Or simply put your water heater on a timer of some sort. I did a 30 day study on electricity and heat loss. I found that I used less energy when I redid the 1977 installation on the house and when I changed the water heater settings for the top and bottom temperature to exactly the same. That simple change with the water heater saved $20.00 a month! Tightening up the drafts was the third biggest savings. We had a wood stove that came with the house and the chimney flew was wide upon which sucked the air right out of the house. When you use the “heat follows cold” method you realize that conduction, convection, and radiation are different ways to loose heat. I pulled out the rock wool insulation and replaced it with fire retardant paper blown in insulation and I could wake up in the morning without throwing on extra clothing. A front load washer uses less water and has faster 2300 rpm compared to the older models, thus providing faster dry time–less energy. The a/c is the main money breaker for us in the summer time, otherwise we average 50-60 dollars per month for 1530 square ranch home.